APM Terminals has worked hard to increase efficiency and increase digitization to enable faster handling of goods. 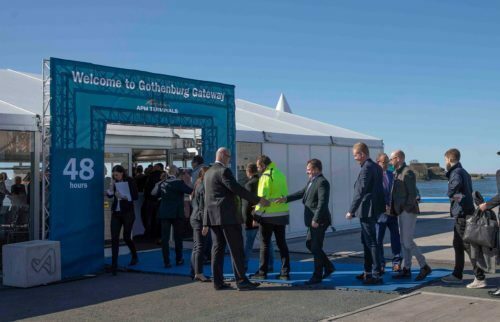 “Via The Gothenburg Gateway it should take a maximum of 24 hours to reach Gothenburg by freight train, and a maximum of 48 hours in total to place a container on an ocean-going vessel,” says Henrik Kristensen, CEO APM Terminals Gothenburg. During the launch of The Gothenburg Gateway, interesting ideas and plans were discussed to take Gothenburg's port to the next level. In conclusion, Axel Josefson, mayor of Gothenburg, said that he believed the initiative in Gothenburg should be given priority as the region is vital for the country's economy. He emphasised the importance of planned investments for dredging and the rail network happening as soon as possible.